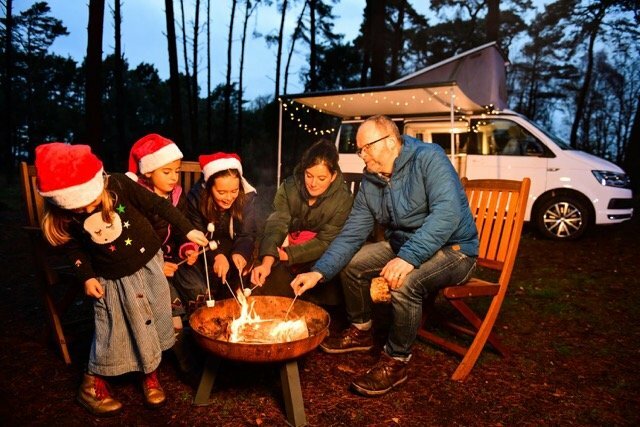 To encourage families to switch off this Christmas and share quality time, Volkswagen Commercial Vehicles challenged chef and founder of the 5 O’Clock Apron blog, Claire Thomson, to go off-grid in the New Forest with her loved ones for a festive feast in a Volkswagen California. 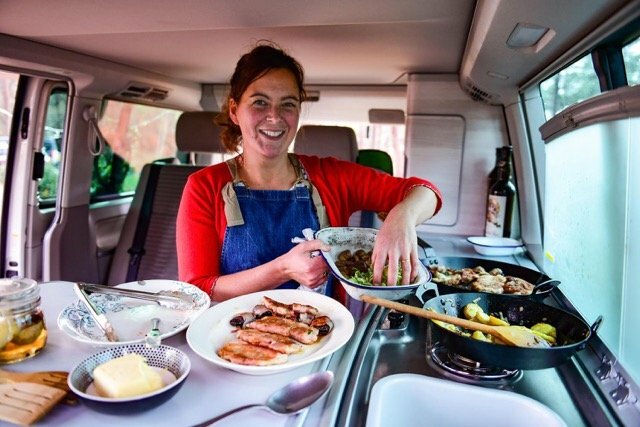 Claire and her husband – former Michelin starred chef, Matt Williamson – made use of the two gas hobs, fridge, and running tap that all come as standard in the California Ocean. The couple also propped up the preparation table and rotated the two front seats to create a spacious kitchen area in which to prepare their festive feast. Claire created the original recipes to ensure they included all the essentials so her family weren’t missing out on the true Christmas experience. For a starter, Claire cooked pan fried scallops with hazelnut butter and spinach. This was followed by a main course of turkey saltimbocca, served with sautéed potatoes, chestnuts and sprouts and dressed with spiced pickled pears. For the final touch, they had Christmas pudding fried with Marsala butter for dessert.